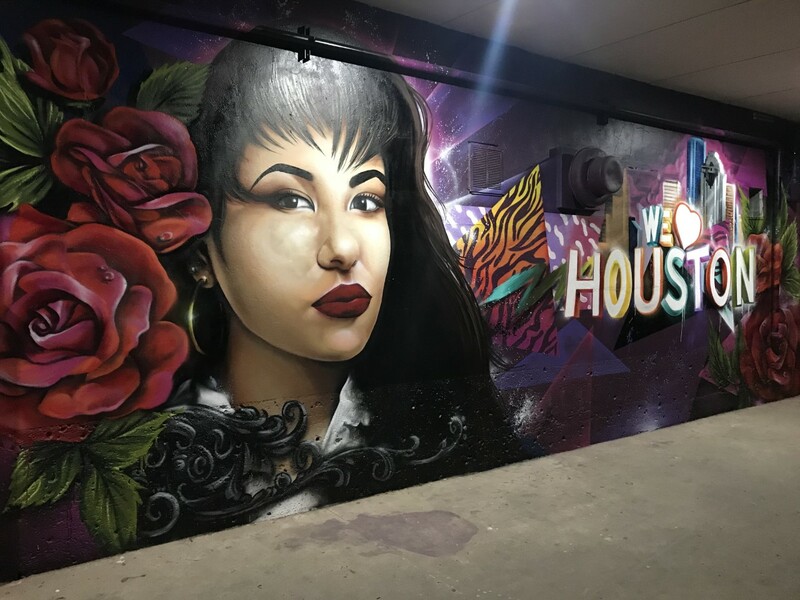 New Selena mural goes up in Houston. HOUSTON, Texas (KTRK) -- A brand new portrait of Tejano music legend Selena Quintanilla has popped up in Houston. The mural, located at "The Arena" vintage clothing store off Washington Ave. and Shepherd Dr., depicts Selena next to the "We Love Houston" sign. The skyline and red flowers add to the backdrop of colors. The artist, who goes by the name @soder_texas on Instagram, says that he just finished the artwork last weekend. He told ABC13 Eyewitness News that he's planning another mural close by and plans to start working on it this week. So don't be surprised if you see the Selena mural flooding your Instagram feed soon.